Metabase is a open source data collaboration and visualization platform. 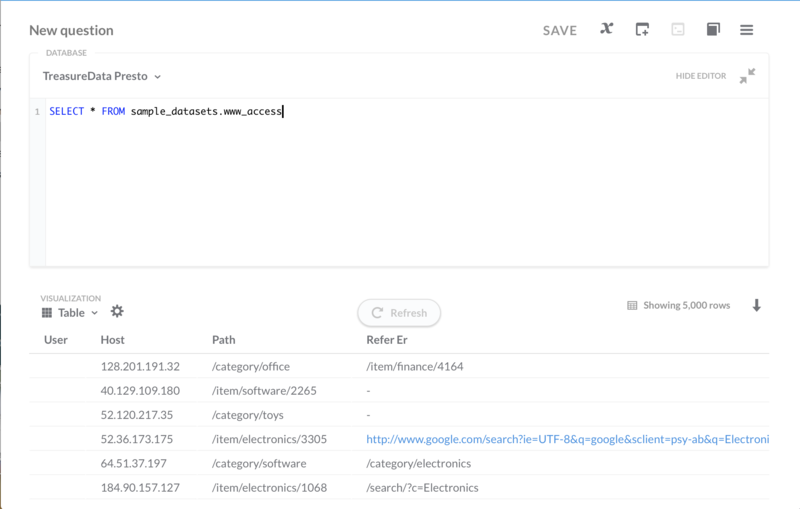 User can visualize own data from Arm Treasure Data with Metabase. See Metabase installation. 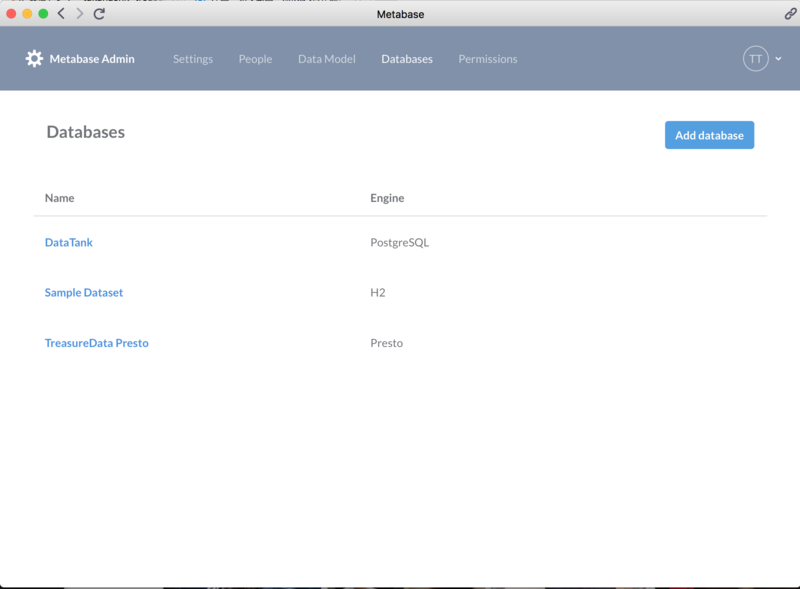 This page describes a way to connect to Treasure Data Presto from Metabase with Mac OS X application. 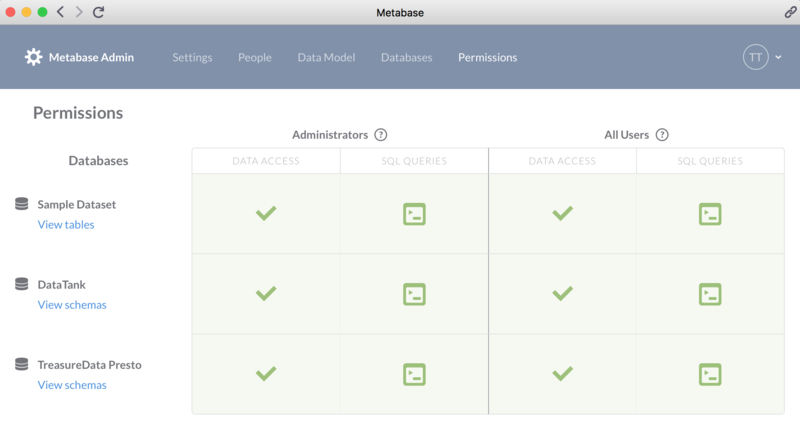 After installing Metabase, visit Databases page on Admin menu, and click “Add database”. 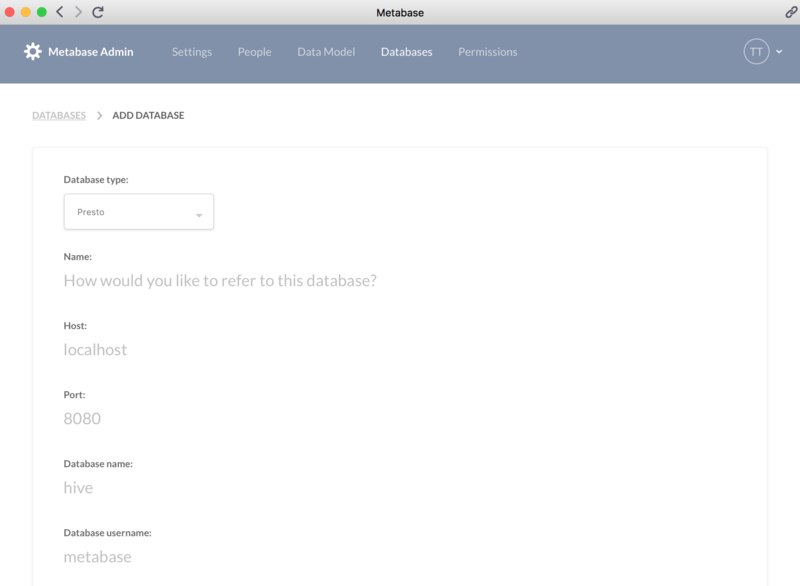 After the connection is established, Metabase takes a look at the metadata of the fields in your tables and automatically assigns them a field type. Also, you’ll select one of three scan options in the Scheduling tab. 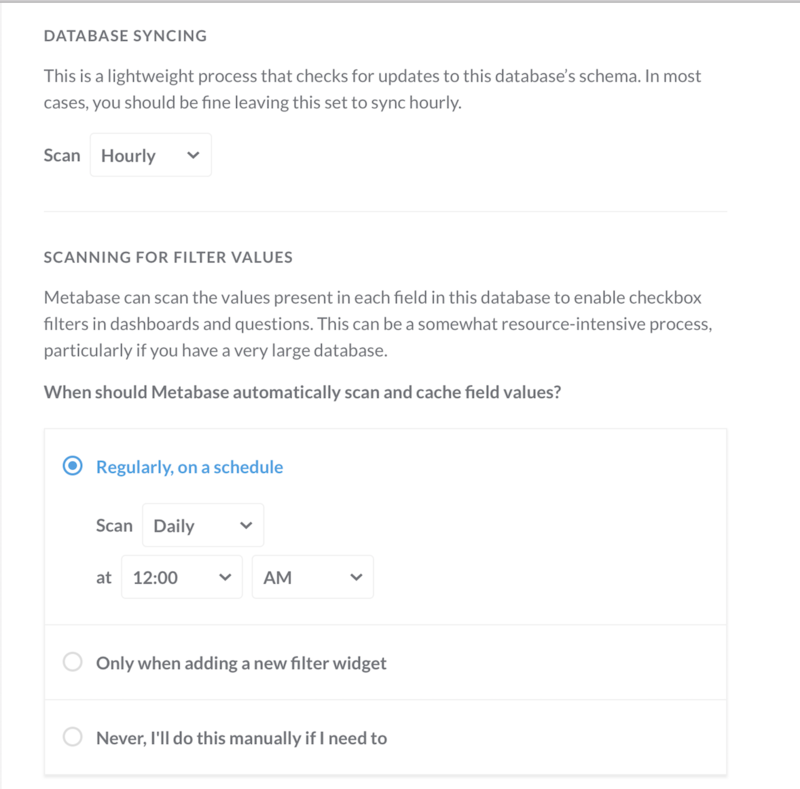 If you’d like to sync your database manually at any time, click on it from the Databases list in the admin panel and click on the Sync button on the right side of the screen. You can see your table schema at View Schema after the schema load is completed. Now, you can create a Native Query on New Question. You can specify a table by FROM <database_name>.<table_name>. See the following doc to know more detail about Metabase.